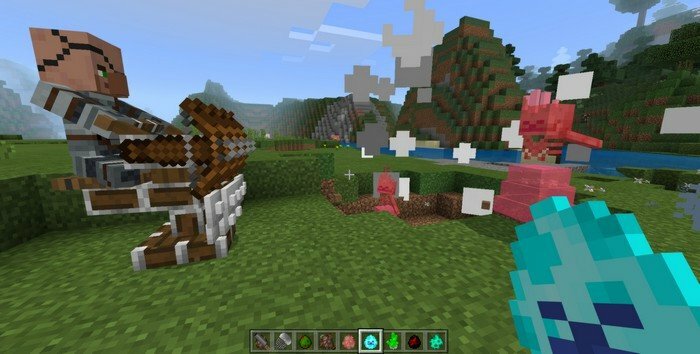 Bedrock 2.0 - the mod that features 18 entirely new creatures, no mob replacements, only guards, bosses, fishes, and monsters. There is no thing better, then to discover and to fight, new enemies and bosses. You can organize the protection of the village or your house, by using new types of villagers. Fight the toughest enemies you can possibly get in MCPE. Cave crystals - Spawn somewhere near bedrock, there are three types of crystal: Diamond, emerald, and lapis lazuli. Turret - Used for protection purposes, attacks every hostile entity in sight, can be slightly upgraded using a bow. 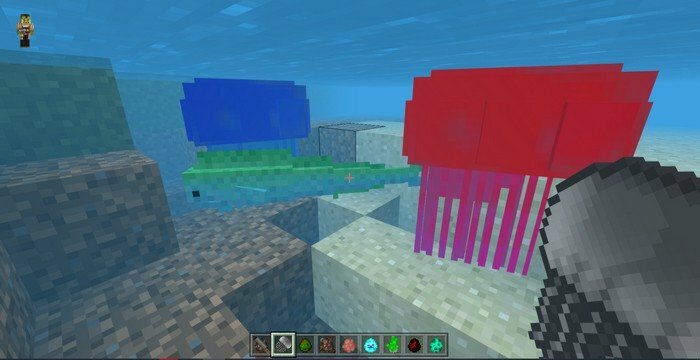 Jelly fish - Can be found underwater, don't come close to it or you will get poison effect. Lion’s mane jellyfish - A more dangerous, yet a more rare type of jellyfish. Mahi mahi - Known as a dolphin fish. Lion fish - Poisonous kind of fish. Wraithen boss - Winged wither boss that is extremely hard to beat, has 3 stages. Chill rave boss - Can be found in the frozen ocean biome, uses ice spikes to protect himself from damage. Uses Ice blocks as a ranged weapon. Stone eater - Inspired from the anime series “Goblin Slayer”, These will give you mining fatigue and can spawn underground. Ender carcass - Basically, it is an Ender Zombie, that uses powers of Ender to teleport himself and to throw snowballs. Frost eater - Spawns in frozen oceans. Can give you slowness for 45 seconds. 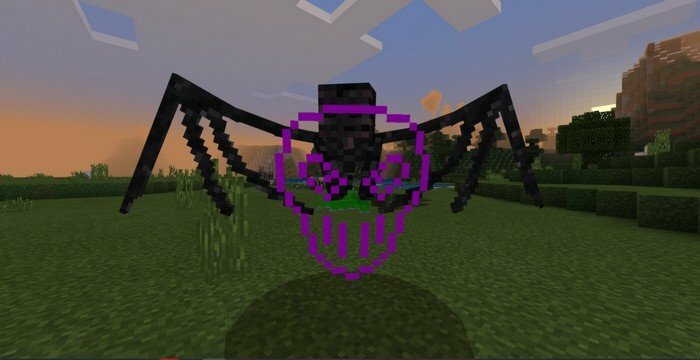 Ryft - This mobs kind of alike Enderman, it prefers to look for his victims in dark forests. Skeleton knight - prefers to wield melee weapons, unlike the regular Skeleton. Sunken - An underwater variant of the skeleton. Warrior villager - A guardian that protects villagers from pillagers. Turreteer - A villager that operates a turret, shoots a few projectiles at once. 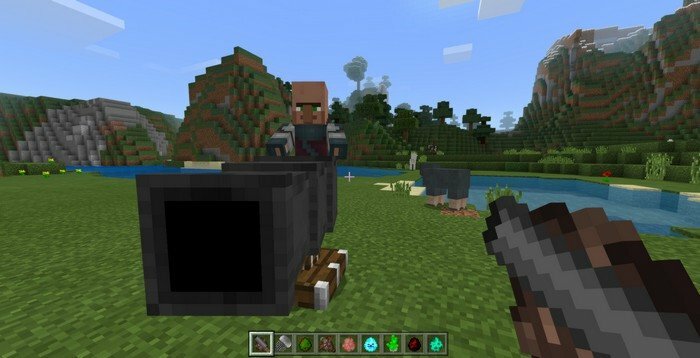 Cannon-man - This villager uses a very big gun, to shoot monsters with explosives.